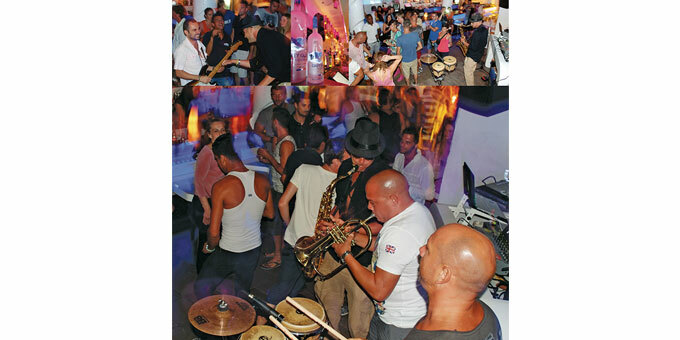 Guarana is a fully licensed bar/club that has stood firm in Santa Eulalia for nearly two decades. We decided to hook up with its owner across all those years, Alex Picazo-Arias, to learn a little about its history and plans for the future. Alex was born in Valencia in 1976. Two years later, his parents decided to lay down roots in Ibiza, with him and his two older brothers in tow. Alex has fond memories of schooling in the mountains of San Antonio surrounded by pine trees. From here his creative juices could flow unabated – later, at secondary school, seeing him produce prizewinning paintings, excelling in chess championships, and loving music with a passion. Inspired by the progressive and psychedelic music of the likes of Pink Floyd, Alex took up guitar from an early age, and later gigged across the island in many a band. His first summer season out of school, Alex shunned further education in favour of immersing himself in restaurant management. Soon after, his combined appetite for business, hospitality and music, was irreversibly sated by an empty shell that stood in the harbour of Santa Eulalia. The empty shell in question had been gifted to his father in 1996, in exchange for his contribution to leading a large part of the construction of the harbour. The family got to renovating the building with a view to opening the first, and still only, dedicated live music venue in the town of Santa Eularia: Guarana. However the council, sensitive to the risks of compromising a family residential area, were slow in producing a live music licence. Undeterred, Guarana opened later the same year, with the then resident DJ, Matt Caseli, creating an underground vibe – playing predominantly electro and garage. Not surprisingly, the youth of the region eagerly welcomed a conveniently placed venue to party in to the early hours of the morning. By 2000, Guarana had proven its worth, and was duly awarded a live music licence. This inspired a refurb to clean and brighten it up – catapulting it from underground, to very much under the social spotlight. It reopened with live music on Sundays: “In those days, nothing ever happened on Sunday afternoons/evenings. All the local restaurants were busy at midday, so it made sense for us to fill a gap by offering after lunch music sessions, and an opportunity for people to get their fix of partying, but still get to bed early enough for work on Monday morning!” For this, Alex tirelessly sourced leading bands from Europe to perform; including top Algerian artist from Paris, Amar Sundy, and very famous Spanish blues band, Los Reyes del K.O. 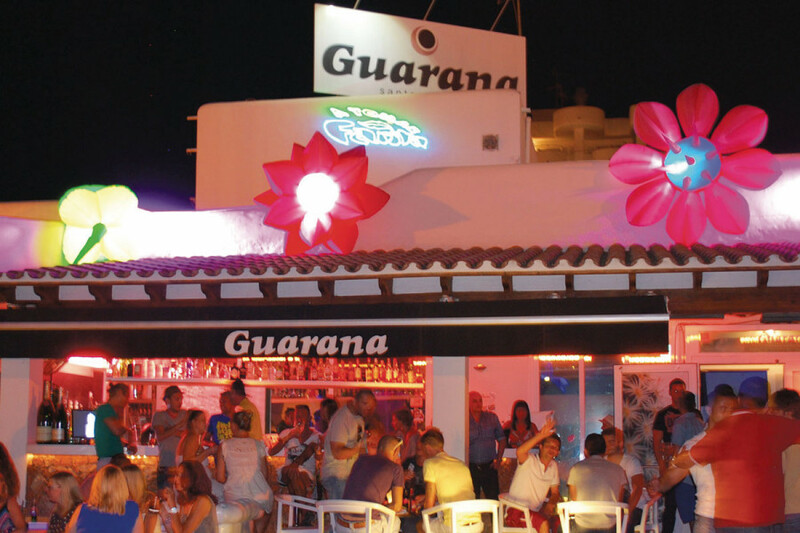 In winter, Guarana joins the very few fully licensed all-night live music and dance venues on the island. Duly honouring its ongoing commitment to the island locals and residents over the winter months, it offers a comfortable clubbing environment and showcases the best of the island’s musical talents, whatever their nationality; including award-winning home-grown sweethearts: La Mala Hierba. Not to mention giving the island residents a coveted opportunity to dance to the wee hours, all year round.